Rated 5 out of 5 by r1c1 from Love Love Story I am SO delighted to get away from the dark, occult, supernatural themed stories. This is a fun and delightful story with beautiful images, challenging hidden objects to search for. It did not get boring as the story flows well and the search for objects is difficult enough without being utterly frustrating. Enjoy! Rated 5 out of 5 by arnold1049 from A WONDERFUL HAPPY ENDING This is an excellent game; I loved it. But I did find the scenes set in Cambodia about a POW of the Vietnam War a little discomforting. For those of us who had husbands, fathers, boyfriends, etc. involved in this war, just beware that this could delve up old memories. But, as all good love stories should, it has a happy ending. 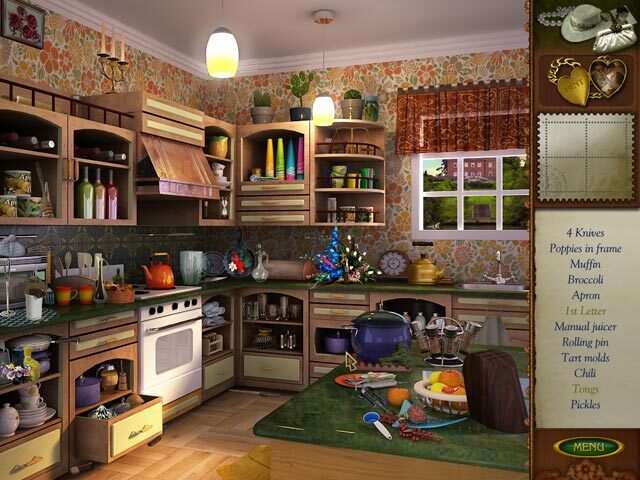 The hidden object scenes were numerous and fairly challenging as most of the objects were tiny. The few puzzles were pretty original and not too hard. It is a long game and kind of like a good book; I didn't want to quit playing until I found out what happens in the end. I give very few games a 5 star rating, but this one deserves it, mostly for the storyline. I'll be buying the other 2 games in the series and I hope they are just as good as this one. Rated 5 out of 5 by hislamb2 from Loved it ! I'm over 70.... Well done... loved the bonus too.... suspense til the end .... keep up the great job...Fun!!!! Rated 5 out of 5 by debdavw from SUCH A HEART WARMING GAME! I don't normally write reviews, only a few. This game's story line is so touching and such a delightful game to play. Once I started I couldn't stop. It is a decent length, not to short at all. The mini games are different for a wonderful change and are not extremely hard and most are not to easy. I would HIGHLY recommend this game for a relaxing afternoon. 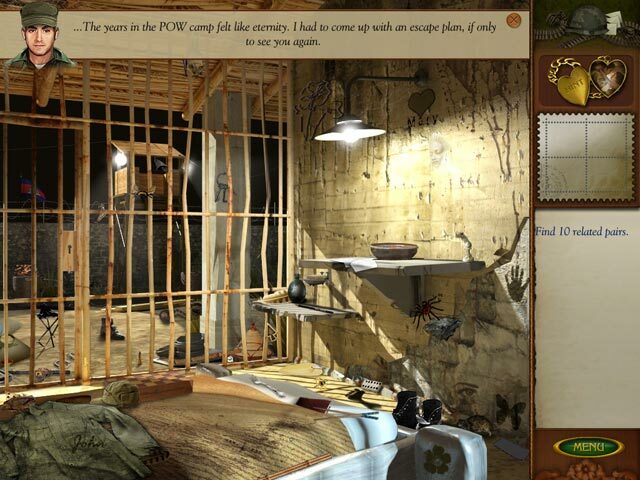 Rated 5 out of 5 by AdrianaIP from Very sweet Games have been used to tell stories. Some of them better than others. Some get hung on bell and whistles, and lose track of what was going on, and you end up wandering from room to room, not knowing why. Here the story is crisply told. The HOS are not junk piles, but are all relevant to the story. You see what Mary's life is, and you get to relive her past... The segment in which you have to find the objects to fill in the words of her memories is outsanding. You never knew that a HOS could have so much emotional pull. 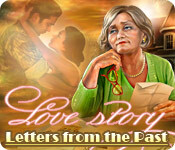 Sweet romantic story, with beautiful graphics. I will be getting the other Love Story games soon. Rated 5 out of 5 by AJLlewellyn from It made me cry! I loved this game! Once I figured out what was going on, I let everything go just to see the ending. I skipped lunch, didn't answer the phone and raced through the final frames. A sad, sweet, lovely story. The mini games were fun too. Some of the clues in the game were odd but the hints button works and there are no penalty. The clues I am talking about are the pairs of things you have to fine which seem arbitrary. Also a few language glitches. I've never heard of the expression that things will "fan out" it's "pan out" but once I clicked I clicked the trusty hints button. I really romantic game I will play again! Rated 5 out of 5 by TurkeyFur from What a beautiful story! This one absolutely was one beautiful, romantic story as well as a great game. Loved looking for items to "fill in the blanks" on the scrapbook pages, have never seen this type of puzzle before and thoroughly enjoyed it. Very well developed game, it almost played out like a movie or a good book with some surprising twists! 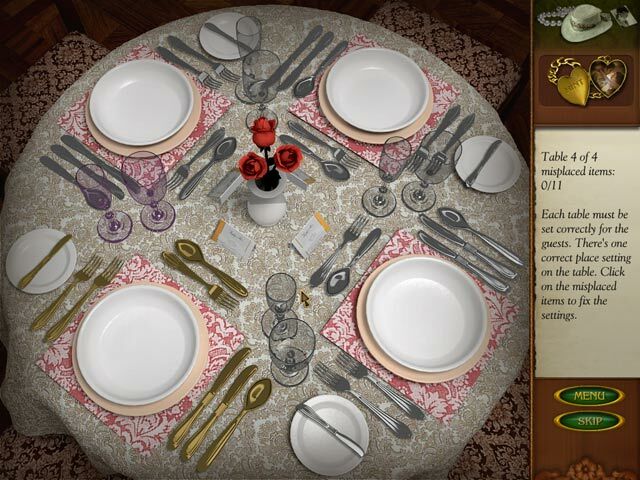 Such a refreshing change from the usual hidden object psychological/horror stuff, which I do enjoy, but this one was a very light, refreshing change of pace and as mentioned a very well done story for people who are romantics at heart. You will absolutely LOVE this game. Graphics and music excellent. I hope to see more developers do this type of game.